Decatur’s route passed rocks and reefs that China has turned into artificial islands in a bid to extend its South China Sea territorial claims. These islands are not recognized by international law as meeting the requirements to qualify as sovereign territory. 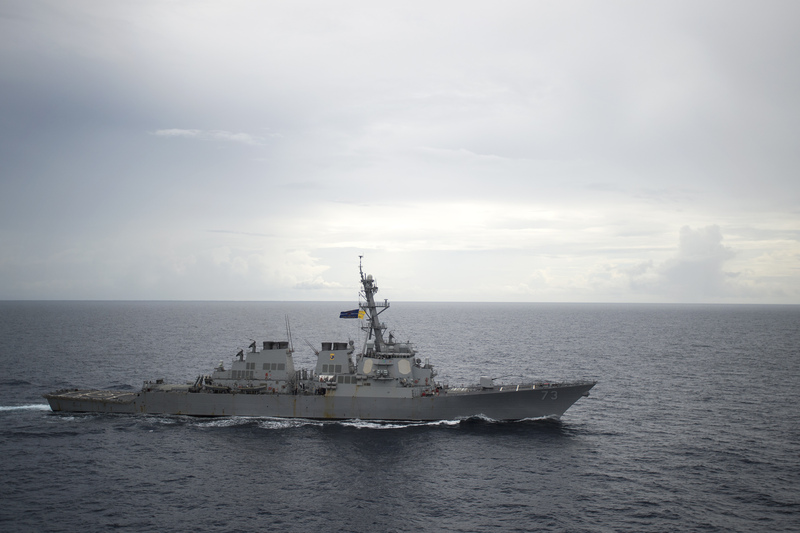 Decatur has previously crossed paths with Chinese destroyers in the South China Sea. Two years ago, a Luyang-class destroyer observed Decatur operating near Chinese holdings near Triton and Woody Islands in the Paracel Islands, which China calls Xisha. At the time, a Chinese Ministry of Defense release complained Decatur violated China’s sovereignty, though Vietnam and Taiwan also claim the small sand spits. Meanwhile, the Wasp Amphibious Ready Group (ARG) with embarked 31st Marine Expeditionary Unit (MEU) is also operating in the South China Sea. The ARG/MEU recently completed a Defense of the Amphibious Task Force (DATF) drill at sea, including live firing crew-served weapons from USS Wasp (LHD-1). The ARG and MEU were simulating travel through potentially dangerous waters. 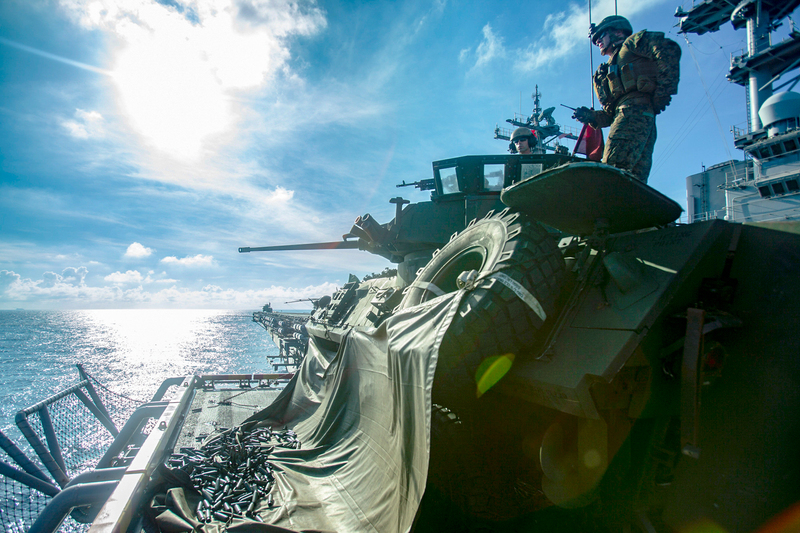 The Wasp ARG and 31st MEU are serving as a ready-response force in the region, according to a U.S. Indo-Pacific Command statement.